Coco in the class room! Recently I gave a talk about art in Quinn's class and we got to talk about Coco. At the end, Quinn did a wonderful job describing both books in a colourful way. 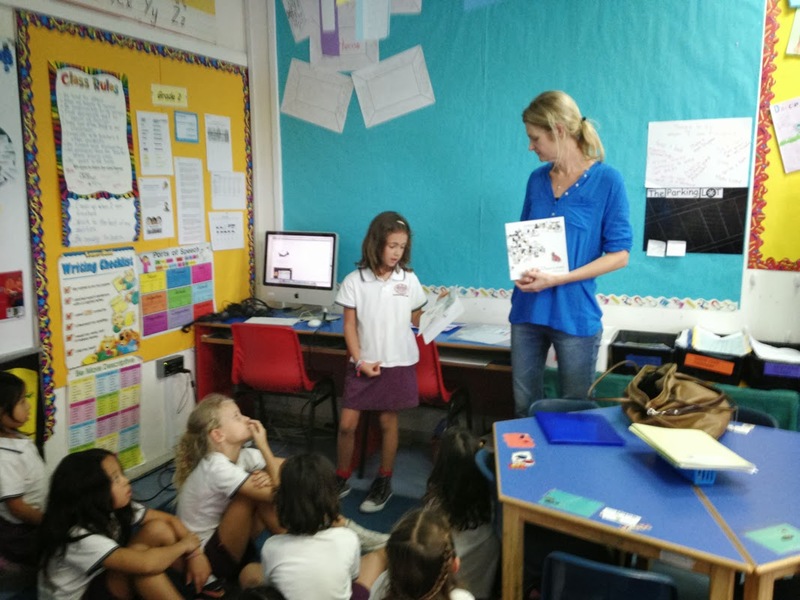 She introduced the second book "Coco goes to Rome" by saying, "Coco is a dog who loves spaghetti!" She also mentioned that you and Coco will learn about Rome from her newfound friend Mario while searching for the cats of Rome. At the end of the talk Quinn handed out our bookmarks, everyone happy! Both books can be found in the school library and the fans now own a signed copy. Coco in the spotlight again! 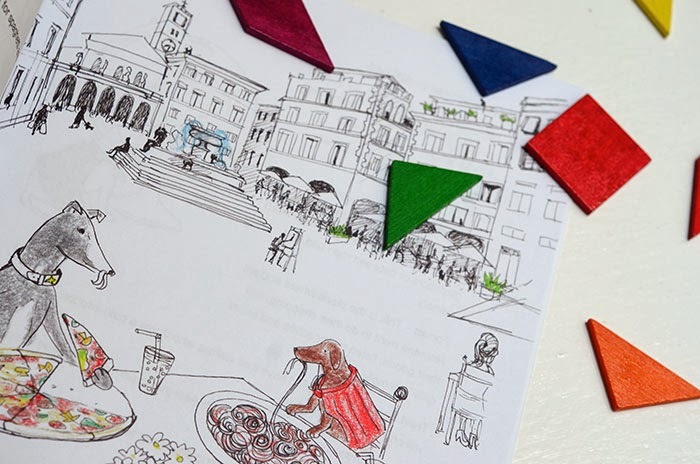 We received our first Blog review on our Coco goes to Rome book!!! by That Artsy Reader Girl. Happy 2014 from all of us! Download the Kindle e-book versions of Coco for free until Friday!! 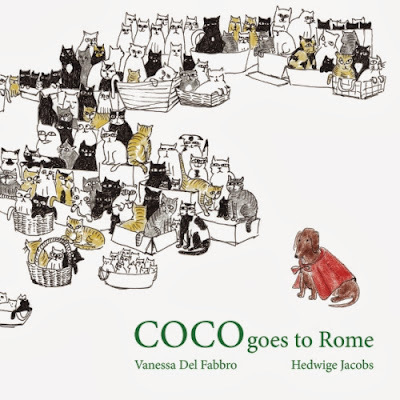 Coco goes to Rome now also available as a Kindle e-book on Amazon! 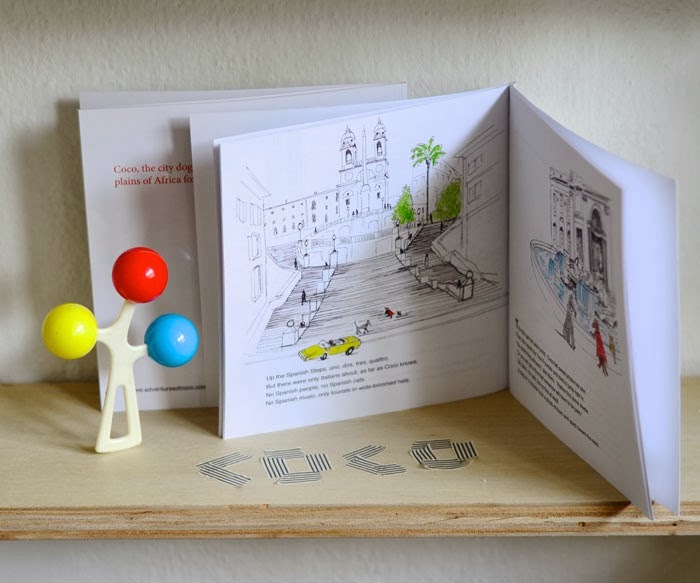 If you missed our first book, "Coco on Safari", it is also ready for download and available as a paper version as well. We love to hear your feedback! Thanks! We are proud to present Coco Goes to Rome! The second children's picture book in the series of Adventures of Coco. Now available on amazon! Coco travels to Rome, Italy, and is mistaken for the famous singer, lady BowWow. It's an exciting life, but a lost kitten needs her help..